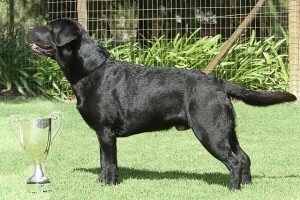 Beau (Potiphar Solo Rio of Stagmanskop) has been awarded the Top Labrador Award in the Animal Talk Top 100. We are very proud of having bred such star! We are dedicated to improving the breed and only breed from the very best national and international dogs available. We aim at having 2 – 3 litters per year and select for type, temperament, good hips and elbows. All our dogs are genetically clear of the PRA (Progressive Retinal Atrophy) gene.